I was sitting at my desk in-between preschool classes. I was in grad school at Ohio State and had an Adapted PE assistantship with a preschool program for children with and without disabilities. I absolutely loved graduate school and my assistantship. 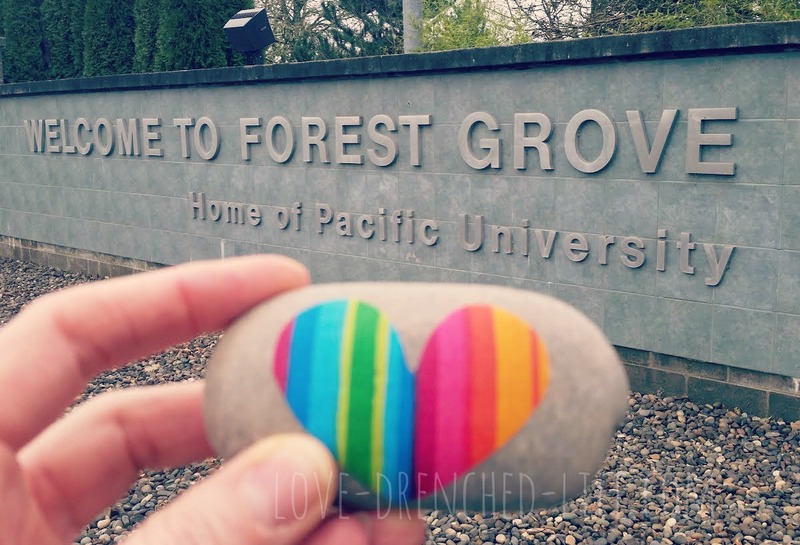 The phone rang and it was one of my professors saying he had just got off the phone with a man from Forest Grove, Oregon who was looking for an Adapted PE Specialist with interest in working with people with disabilities in the outdoors. I had modeled my whole education around these two things. I had just told my professor a week prior I was planning on moving West after graduation ~ I was thinking Colorado. I got off the phone and looked at a map to see exactly how far Forest Grove was from my comfort zone of Columbus, OH. I was new in town and looking for something to do in the evenings. A friend, who was involved in the local soccer program, asked if I wanted to coach a U-6 team. Sounded like fun and it was. Playing with kids out on the soccer field a couple of nights a week, teaching them to want to be physically active and how to have good sportsmanship was the perfect way to spend my evenings. I remember distinctly thinking life was so good and that I loved living in a small town. I was meeting lots of people and feeling very connected and this was very comforting considering my family and close friends were so far away. I was a single mom and I was heading back to work soon. It didn’t seem natural for me to leave my baby with someone else for the day and go to work ~ I had no choice. I started asking around town for a name of a good child care provider. I wasn’t going to leave Anna with just anyone. While at the aquatics center working with some of my students a co-worker gave me the name and number of a woman who was thinking about doing childcare. I called that evening and set up a time to go and meet with her. I knew as soon as I walked in the door ~ not only was she going to watch Anna but we were going to be family. He was part of the community and we were living parallel lives ~ we had never met even though his daughter had been a peer tutor for me a number of times. One day her dad’s life and mine collided. When he told her about going out with one of her teachers she was super excited it was me and I was super excited she was his. Dinner was over and they asked if we could all go to the park and play. I was making tea and decided to bring the pot and some extra cups ~ I knew that some of the other parents may enjoy a cup too. The kids were all playing lava tag and the parents were catching up and drinking tea. I remember thinking that I had the life I always dreamed of ~ wonderful loving husband, beautiful healthy children, great friends and the most amazing community. Life was so good! It was a horrible night that I really don’t want to re-live. All I know is that I was surrounded by neighbors, friends, fireman, police officers and many others. They held us, took care of us and our girls and grieved alongside us that night. I watched as so many people walked through the doors of the church to come celebrate Anna and Abigail’s lives with us. So many people ~ so much love. I was checking out at our local grocery store, I needed some things for dinner. We find that our grocery lists are smaller these days and if we buy too much on one trip it usually goes bad; Tom hates that. “How are you today?” the cashier asks with such a caring tone. “Hanging in there.” I reply with a smile. He asks me every time I go to the grocery store and each time I can feel his kindness and concern for my heart. I spend a lot of time at the post office mailing Love Rock kits. They know me and when I go in I am always greeted with a kind word of encouragement from the bearded man behind the counter. He has struggles, I have struggles ~ we pray for one another. I was tired, sad and missing Anna and Abigail ~ there was a knock at my front door and through the stained glass window I saw the neighbor girl’s new bobbed hair do. I open the door to hugs and love. They stopped my on their way home just to see how I was doing. We chatted about our day, the playground plans and give another round of hugs. I thanked them for the visit. I looked out my window and I saw a man from our community. He was standing next to Anna and Abby’s tree. He was crying. I said a prayer for him. The dining room was filled and there was laughter and joy coming from every corner. Kids were hiding Love Rocks and every time they pass by they give Tom and I a hug. There was a lot of people dressed alike ~ all wearing Love Rocks shirts or hoodies that just arrived in the mail. I heard their names in conversation ~ Anna ~ Abigail. Abigail’s friend gave me a smile to show me her new braces, they are alternating blue and purple. My heart was so full of love. Seventeen years ago I took a huge risk and moved across the country to a place where I knew no one. I became part of a community that many only dream of being part of. This town we live in is truly something special and we feel very blessed to call it home. This community we belong to holds us in a way that I didn’t even know I needed. They celebrate with us the lives of Anna and Abigail, and as a community, we all, take pride in the fact that in Forest Grove OR, we choose Love and Joy. A few years ago we were talking about moving to give Grace an opportunity and I said, “With the big kids gone, there is nothing really keeping us here.” I know now how very, very wrong I was. I have lived in many cities, towns and communities during my lifetime and I have never lived in a community like this before. I am so proud to live here and am so glad you have chosen to make this your home. You have taught us all so much. It is a special place eh? I have lived all over the world, and I still and forever call it home. This post brought tears to my eyes. We see how you choose, truly make the choice, to live with love and joy. And it reminds us that we all have the choice to make daily. Will we live a life of missed connections and negativity or will we try to be present each day and live a life sharing love and joy with others? I’m also thankful that I moved into such a special community. Full of friends!